The gentle exercise that yoga offers is an excellent complement to cosmetic surgery when utilized appropriately. Yoga has become pretty popular these days, and for a good reason. The practice bestows an abundance of positive benefits upon those who partake in the exercise with ancient roots. Let’s explore how yoga can be effectively used to strengthen the body for surgery and to assist with post-operative recuperation. 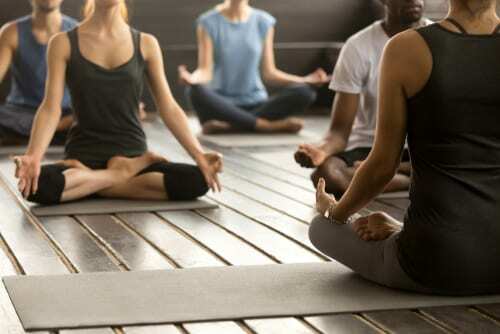 Mental relaxation: Practicing yoga can help reduce stress and anxiety. A calm, healthy mental state can significantly help improve the entire cosmetic surgery process. Posture: Yoga is a magnificent way to improve one’s form. Corrected posture could potentially enhance the aesthetic of the client by giving them a better frame. Physical resilience: Practicing yoga every day offers several health benefits like improved mood, physical conditioning, and circulation. Body awareness: Many yogis become more aware of their body while performing the challenging poses that are inherent in any yoga routine. Body awareness could allow patients to relay more information to their doctors about how they feel physically. Increased flexibility: After time away from the gym and inactivity due to resting, the body can become sore and stiff. Yoga stretches are superb for limbering up the body. Strengthening the core: Increasing core strength can be incredible for anyone, but it is especially valuable to those who may have had surgery on their abdomen. Enhancing looks: The whole point of cosmetic surgery is to enhance your appearance. Yoga can help tone muscles and create a long, lean aesthetic. Happiness: A key aspect of anyone’s healing is their mental state and dedication to recuperation. Yoga can help keep a happy and optimistic attitude. It cannot be stressed enough how important a positive mindset is during recovery. Overall, yoga is a sound practice for general good health. Taking the time to discuss exercise options with your plastic surgery team can make your procedure much more beneficial. If you’re interested in more ways to ensure the maximum outcome for your surgery, contact us today at (305) 931-3338. Make an appointment with the experienced staff at our office. Your journey toward greater inner and outer beauty has begun. Congratulations, and namaste!